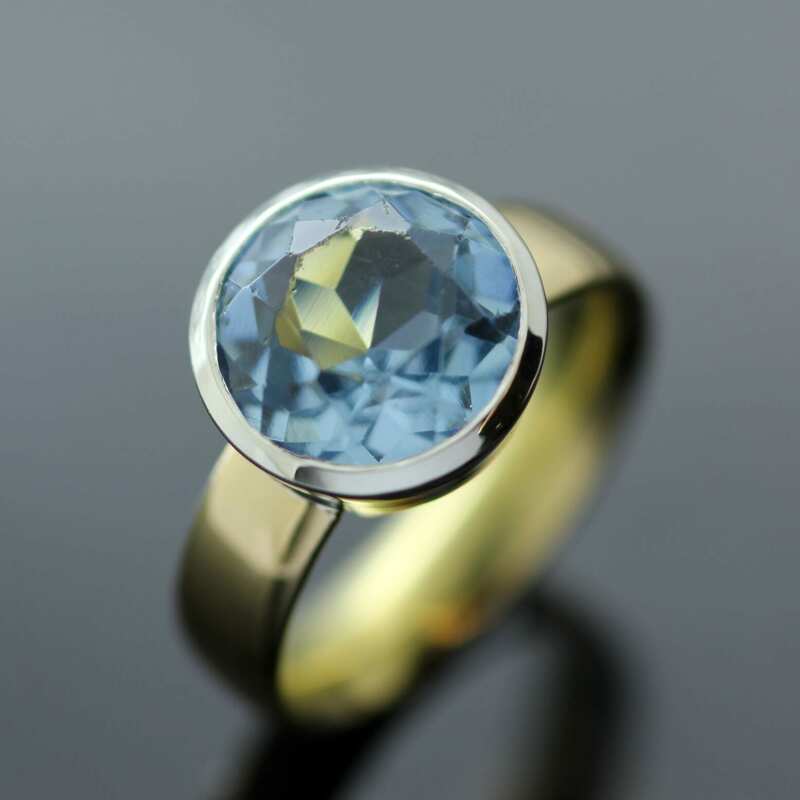 A glorious Round Brilliant Blue Topaz gemstone and solid Gold cocktail ring has been designed and created in collaboration with one of our clients as part of the bespoke services offered by Julian Stephens. 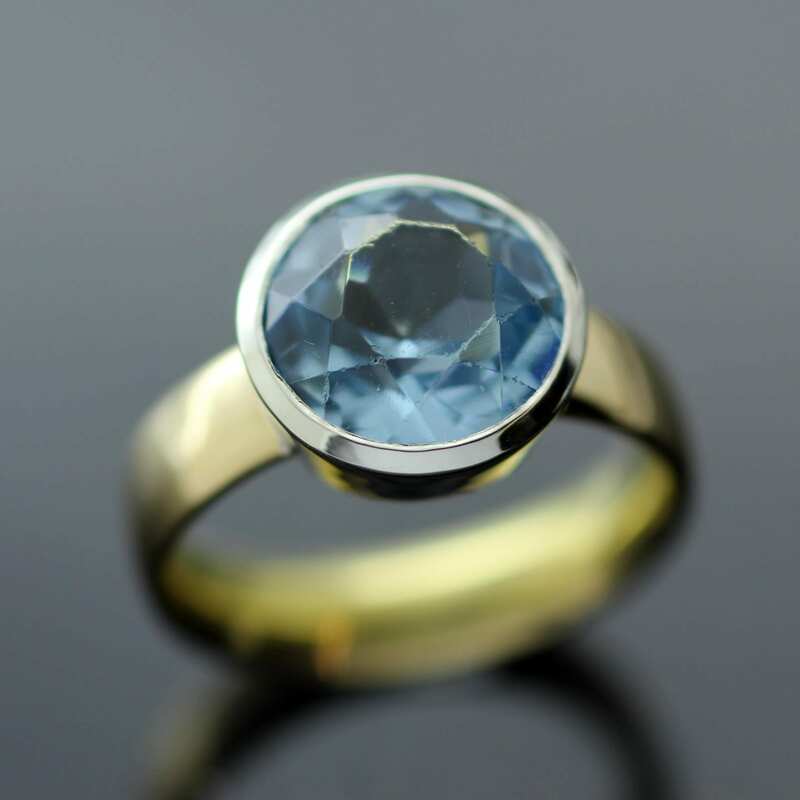 This contemporary, sleek design highlights the beautiful materials used to create it, showcasing an exceptional Round Brillliant Blue Topaz in a dreamy cornflower blue shade. 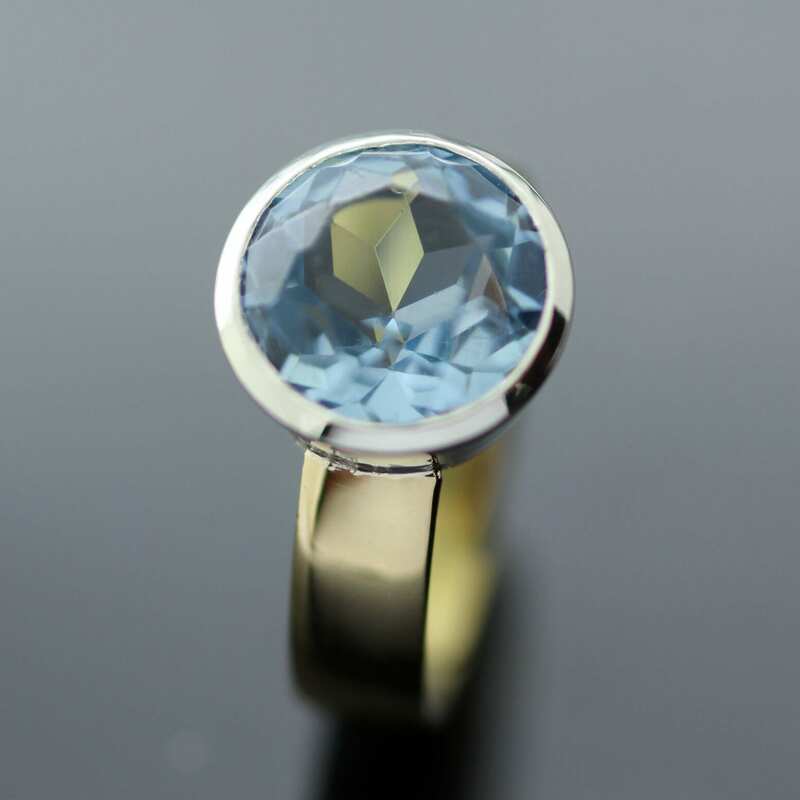 The gorgeous faceted Blue topaz gem is set cleanly in a Bezel setting of polished Sterling Silver to complement the blue hues of the gemstone. The expertly hand set gemstone is then attached to a solid 18ct Yellow Gold chunky ring shank and hand polished for a high gloss finish to complete this one of a kind bespoke design. The Blue Topaz cocktail ring has been meticulously hand crafted by our master Goldsmith Julian Stephens from his Brighton workshop and proudly bears his exclusive makers mark and Hallmarks as an indication of its thoughtful design, quality materials and execution.